Are Americans on the Left Conservaphobes? Since September 11th, 2001, Islamic terrorists have committed thousands of attacks. To the disappointment of many, moderate voices within Islam have been hesitant to confront those who murder in the name of their faith. However, this hesitancy has not caused those on the left to question whether Islam could be the inspiration for such attacks. To the contrary, those on the left have actively participated in a campaign to differentiate Islam, and her peaceful followers, from Islamic terrorists. The term Islamic terrorists is not even used in leftist circles. In point of fact, if you use such language, you run the risk of being labeled an Islamaphobe. In stark contrast to the tepid responses from Muslims, to those who murder in the name of their faith, conservatives have been quick to condemn those who would commit violence and claim a common cause. Glenn Beck, a frequent target of accusations of incitement to violence within the big tent of conservatism, has condemned the use of violence on numerous occasions, quoted Ghandi and stated that peaceful change is his goal. Yet, in spite of that, and numerous other statements from prominent conservatives in condemnation of those who would use violence to further a peaceful agenda, the left is eager to link those who inspire conservative activism with even the most tangentially related acts of violence. In the case of Islam we have “moderates” who make excuses for and attempt to justify acts of terrorism. 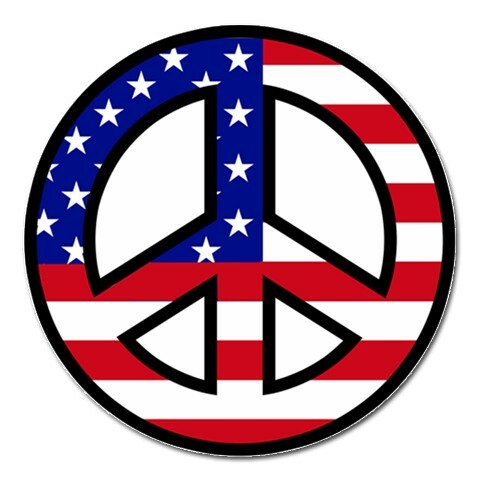 In the case of conservatism we have broad condemnation, without equivocation, of those who would use violence to further a peaceful agenda. Conservatives actively condemn those who would use violence because they know it tarnishes them and is morally indefensible. My question is, what do conservatives have to do for the left to give them the same benefit that they give Muslims? Must they make excuses for those who commit violence and claim common cause with conservatives? Must they funnel money to front organizations that in turn send funds to organizations whose singular mission is the murder of innocent civilians? If willingness to recognize the links between Islamic terrorists and moderate Muslims, who attempt to justify terrorism, makes one an Islamaphobe, what does it make those on the left who try to link conservatives who condemn violence to those who commit violence while claiming a common cause? Some are giving Rand Paul a hard time for his position that business owners should be free to govern their private business as they see fit, even if they choose to discriminate based on race. Many in the mainstream media are highly critical of Rand Paul’s position, but these are the same people who belong to the ACLU. Now the ACLU actively defends the free speech rights of racists and child molesters, yet this is not criticized by the media. The mainstream media has (correctly) bought into the idea that free speech is only meaningful if those whose views you find repugnant are also free to express their opinions. This is good, but for Libertarians speech isn’t the only principle worth defending. There is also the principle of the free market and the belief that consumers should be empowered to make decisions with their dollars rather than having the government dictate behavior. This principle is radical because it trusts individuals to be the final arbiters of what is right and wrong. They trust the people to not spend money at establishments that they find morally repugnant. They trust that the same spirit that encourages PETA members to not buy from companies that support cruelty to animals exists in all people. They believe in the people enough to trust that they will make moral decisions with their dollars and not frequent businesses that engage in racist practices. “America isn’t easy. America is advanced citizenship. You’ve gotta want it bad, ’cause it’s gonna put up a fight. It’s gonna say, ‘You want free speech? Let’s see you acknowledge a man whose words make your blood boil, who’s standing center stage and advocating at the top of his lungs that which you would spend a lifetime opposing at the top of yours.’ You want to claim this land as the land of the free? Then the symbol of your country cannot just be a flag. 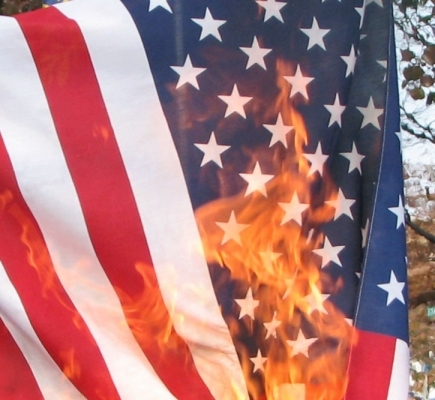 The symbol also has to be one of its citizens exercising his right to burn that flag in protest. Now show me that, defend that, celebrate that in your classrooms. If you truly trust the people, why doesn’t that trust extend beyond free speech? Government should not be allowed to discriminate and Rand Paul is not advocating that. He simply believes that trust in individuals can and should extend to private businesses and their patrons. *-Murder is a federal crime. Any claim to being less than satisfied will result in the murder of Greg Gutfeld and you will be held legally liable. 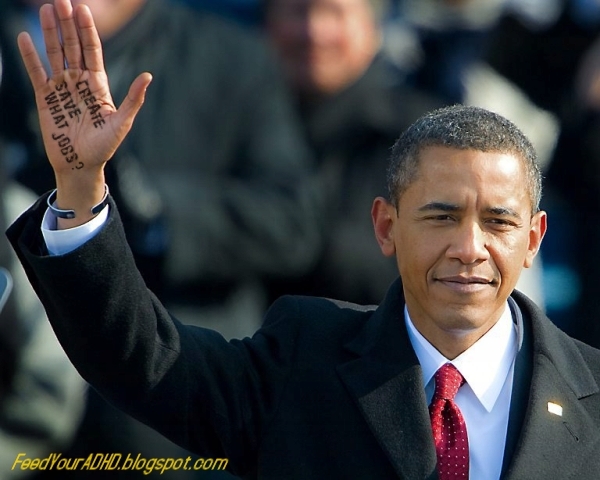 After a little investigative journalism, I’ve discovered that politicians writing notes on their hands is nothing new. So now Howard Dean and Markos, at the Daily Kos, want to kill Obamacare. It seems that, without a public option, they no longer are concerned with helping all those poor folks dying because of a lack of insurance. I never believed they gave a damn about those people, but I’m glad they could confirm it for me. For the far left, it was never about reform and improving access. Instead, it was all about bigger government and more control over people’s lives. 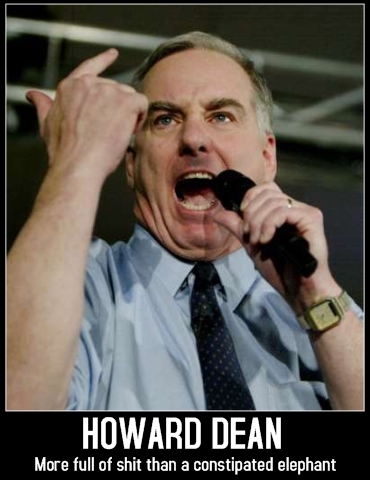 If Howard Dean really cared about people, he’d call for the current bill to be rewritten, rather than scrapped, so that it reflects the free market reforms that have been put forward by many opposed to Obamacare. Those reforms would pass and they wouldn’t benefit the insurance companies, unlike the current bill which mandates coverage. Even if Dean didn’t believe those free market reforms would help, they certainly wouldn’t hurt. Unlike Obamacare, allowing insurance to be sold across state lines, encouraging health savings accounts and allowing employees to take their plans with them when they change jobs, would not negatively impact coverage or add to the deficit. Unfortunately for the American people, progressives don’t really care about the poor and uninsured. Sadly, they’re only interested in using those people in order to guilt you into supporting a bill that you know is bad policy. It’s not unlike the left and their exploitation of the troops during the Iraq War. They didn’t really care about bringing the troops home, but they did want to use the deaths of troops to attack Bush; that stopped being an issue for them once a Democrat started sending those soldiers to war. Now the left is exploiting the uninsured in attempt to win another political victory. This is a chance to use the left’s words against them to push real free market reforms that might actually help reduce costs. If they don’t pass those free market reforms, but do pass an insurance mandate, it’s clear that their concern for the uninsured is just as disingenuous as their concern for the troops. Anyone that frequents this blog regularly (what? There could be one person that does) would be doing me a huge favor if they would follow this link and read the post. Times are tough all around and it’s asking a lot, but it’s a worthy cause and I hope you’ll donate a little something if you can. The loss of the Lakewood officers in Washington is a tragedy and I can’t imagine what their children must be feeling as they face this holiday without the parent that was ripped from them. There’s not much we can do to ease their pain, but we can do our part to make sure they have a chance for a bright future in spite of all they’ve lost. Thank you and Happy Holidays.